Zuni artists Don and Viola Eriacho create beautiful geometric inlay reminiscent of rug patterns. 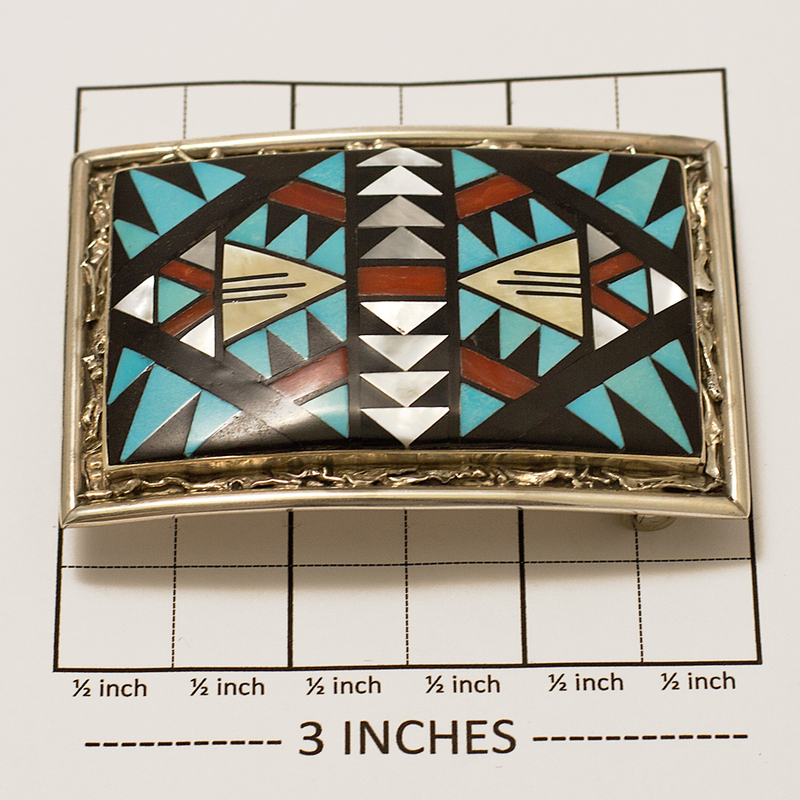 This buckle is in the very traditional four colors of turquoise, coral, mother of pearl, and jet, surrounded by a unique nugget texture in sterling silver. Hallmarked “D – V Eriacho” and Sterling. As shown will fit a 1 3/8″ belt. 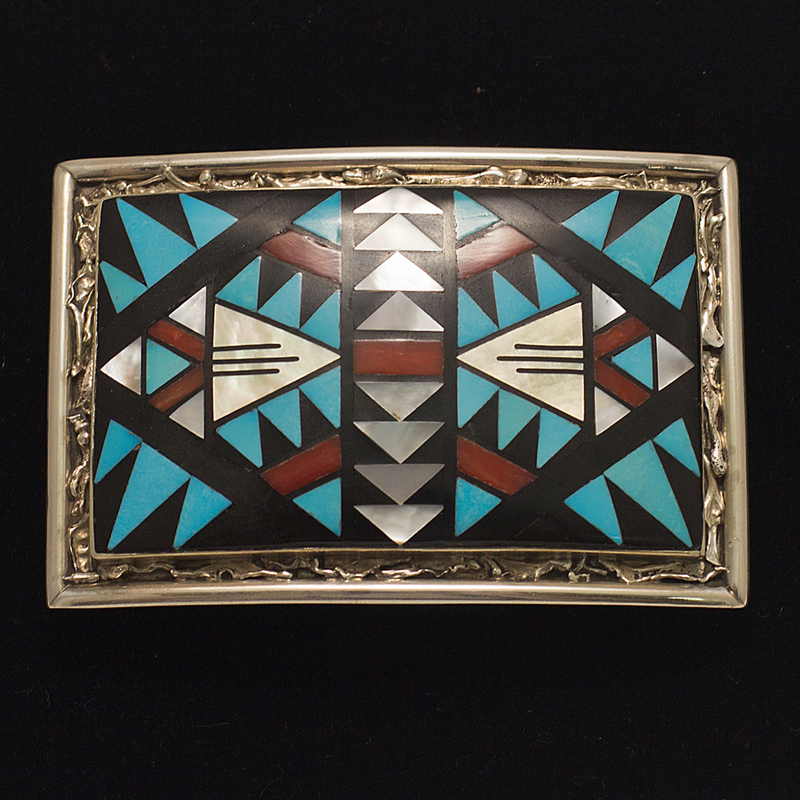 Don and Viola Eriacho Western Buckle shows incredible skill in raised inlay and will look good with any belt.